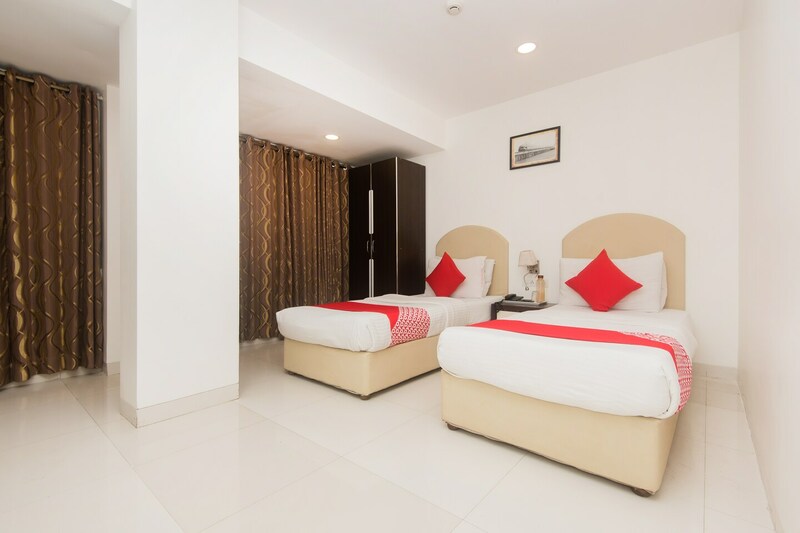 Located near Powai lake, Hotel GK Residency offers you a comfortable stay with modern amenities while keeping close to nature in heart of the city.It provides guests with facilities like card payment option, free WiFi and CCTV cameras. The rooms are well maintained, spacious, modern and well-furnished. The black-and-white paintings on the walls and gallery give the place a chic feel.The guests can start the day with a stroll near the lake or a visit to the forest park. Red Carpet Wax Museum is another attraction not to be missed around the area. Guests can also take a walk around Hiranandani Business Park in Powai to experience a different side of Mumbai.